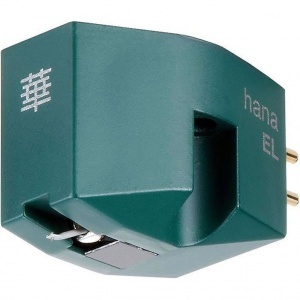 HANA means :“Brilliant and Gorgeous” in Japanese. This is the new Hana ML. 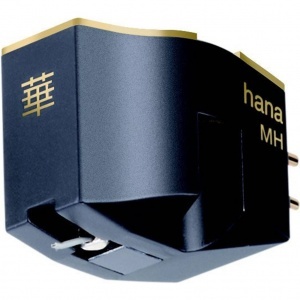 The HANA M range are the advanced models of the now world-wide renowned HANA E and S ranges of Moving Coil cartridges, famous for their high quality sound reproduction, ease of setup and use; and competitive pricing. The HANA-ML is the low output moving coil cartridge option Low output option, with Micro-line stylus profile. 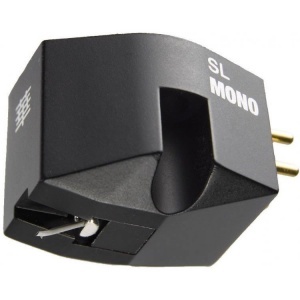 This cartridge is designed to be used with a MC phono stage or MC step-up device + MM phono stage. 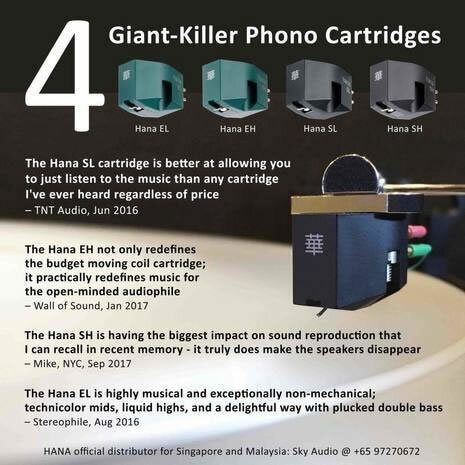 There are several advanced product features (Over E and S range HANA Moving Coil cartridges) that take the sound fidelity and musical enjoyment to new heights, continuing to offer a superb sound quality v. price at its higher price point. The stylus design is ‘Micro-Line’ (a shape that more closely follows the cutting head when the metal master is being produced), fitting more precisely into the vinyl groove to capture the very smallest details, offering better frequency reproduction and less distortion. 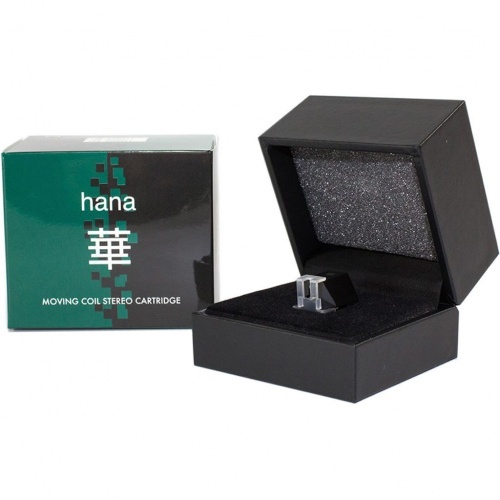 The Hana M Series cartridge bodies are made from black polyoxymethylene (POM) which is a very hard, extremely rigid and very strong thermoplastic. Excel uses a particular formulation of POM manufactured by DuPont that sells under the trademarked name ‘Delrin’, a material with much improved mechanical characteristics such as better resonance damping and hardness. Parts such as the front yoke, center and rear components of the magnetic electro-motive circuit and wires are Cryogenic processed, this is a 'cold annealing' process at near absolute zero temperature, it restructures metals at the molecular level, resulting in lower sound distortion). The result is a more precise and musical sound quality. Very high-quality copper wire has been selected for MH/ML moving coils, offering greater clarity of sound, thanks to its lower distortion of the musical signal. There are captive threaded nuts for head shell fixing screws, these are built into the cartridge body offering easy mechanical fixing to the Tonearm headshell. There is a gold plated copper resonance plate integral with the cartridge body, that further reduces distortion from vibrations.